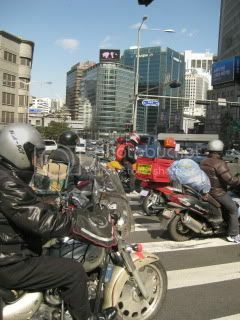 It was already our 3rd day in Seoul and another sunny day. We went to Myeong-dong Kyoja for lunch. It’s a very popular local place which is specialized in traditional noodle and dumplings (I later found that they have a branch in Koreatown in LA...so I want to check it out). 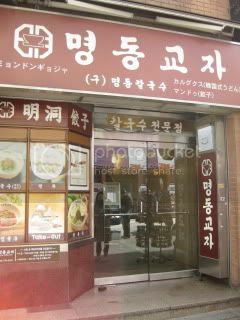 Their menu consists of only 4 items (3 noodle dishes and 1 mandu plate). They have large dining rooms over two floors, and there was already a waiting line after 12 pm. Luckily, we got in to beat the lunch rush. 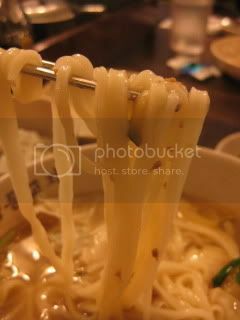 This is their signature kalguksu (hand-cut wheat noodles). Clear broth was infused with chicken and vegetables for 4-6 hours. The broth was very nice. 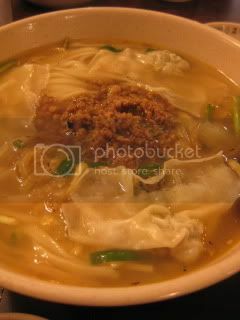 The noodle was topped with ground pork, wontons and shredded cucumber. The noodle was very smooth and had the nice texture. 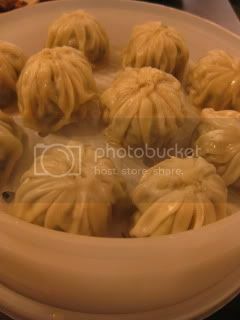 Here’s their mandu (dumplings). It was also very nice. 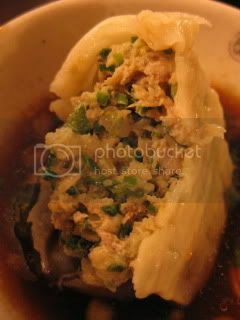 The filling was ground pork and lots of Chinese chives with garlic. The texture was fluffy and rather light, so I could keep eating one after another. But later, I realized the very strong chive and garlic flavors stayed in my mouth for a while (even after brushing teeth!). I really enjoyed the rustic delicious lunch. After lunch, we crossed the river to Apgujeong area for shopping. 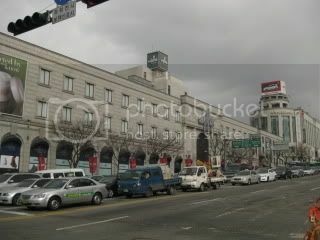 We took a break at Galleria department store. They have a small but nice basement grocery section plus food court. 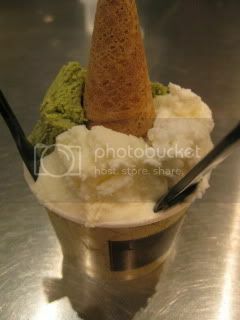 I had 3 kinds of ice cream…rice, cheese, and green tea. They were rich and nice. Rice ice cream even had grains in it.